As The Old Curiosity Shop appeared in instalments, Charles Dickens was inundated with letters from readers, all begging him not to kill off Little Nell. Queen Victoria found Oliver Twist so “excessively interesting” that she pressed it on the prime minister, Lord Melbourne. It was this response, from high to low, that made Dickens different. His books formed a direct connection with his readers that no one had ever had before, and few have had since. But that very connection meant that he himself was always on display, and for nearly 150 years, biographers and readers have puzzled over the obvious secrets and elisions embedded in the life of this complicated man. Twenty years ago, Claire Tomalin’s The Invisible Woman convincingly explained Dickens’s second most traumatic life event, his vicious and very public rejection of his wife. What no one had known at the time, however, was Dickens’s childhood trauma, when his father was imprisoned for debt and the boy was sent to work in a blacking factory. That scar remained so fresh that not even his wife and his children were told of this episode. Dickens was born in 1812 in Portsmouth to a clerk in the navy pay office (and later the model for Mr Micawber – no doubt much more amusing to read about than to have as a parent). Leaving school at 15, he worked as a clerk himself, and then a journalist. When, aged 24, he was invited to write what became The Pickwick Papers, like Byron, he awoke to find himself famous. From then on, his work rate was prodigious – The Pickwick Papers was still being written when he began Oliver Twist, and Oliver Twist was not completed before Nicholas Nickleby started to appear. 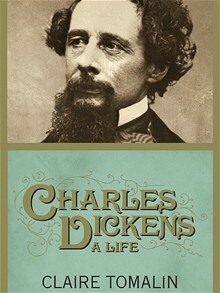 In between novels, Dickens was a magazine editor for most of his adult life, and he endlessly spoke and sat on committees for a variety of good causes. He also raised funds for many children of friends, left orphaned and destitute, sometimes remaining a paternal presence in their lives for decades. This was greatly at odds with his treatment of his own family, and Tomalin draws a deft picture of a man who overcame his childhood traumas through his own efforts, and who therefore believed that “everything was possible to the will that would make it so”. And when Dickens fell in love with Nelly Ternan, who was his children’s contemporary, it was not enough for this novelist of domestic harmony to separate quietly from his wife of more than two decades: he needed to proclaim to the world her numerous flaws, and ensure the world agreed with him. Yet, as Tomalin shows, he was also a man of charm and warmth, with an endless ability to take pains, even for those he would never see again: after serving on a jury, he went to some trouble to see that the accused was sent food and other comforts in prison. And before a children’s birthday party, worried that he had forgotten the polka his daughters had taught him, this middle-aged man, the most successful novelist the world had ever seen, got up to dance gravely by himself, alone in his room in the middle of the night. Tomalin’s psychological analysis is acute, isolating that elusive something that made Dickens great. At these moments her authorial voice shifts and she no longer tells us, but comes over to our side: “we think”, she writes, not “I think”. She is as much gripped by the unrolling drama as her readers. And when it comes to analysing the novels, she is magisterial: Dickens’s villains are walking contradictions, viciously cruel characters who are also outrageously funny; Great Expectations is “delicate and frightening, funny, sorrowful, mysterious”, magically creating a tenebrous world of failure, as Pip fails to understand others, fails to win love, fails to save his benefactor, fails, ultimately, to become a man. However it is also the case, of course, that when she dismisses something – and she has no tolerance at all for the more sentimental side of Dickens’s fiction that many (myself included) genuinely enjoy – she can be devastating. Edwin Drood, she tells us briefly, is “perfectly readable”. Ouch. There have been many biographies in the past, and no doubt more are in the pipeline as the bicentenary of Dickens’s birth approaches. But few will have Tomalin’s sympathy and insight for this tormented man, a man who, in A Christmas Carol, drew a picture of “horror, despair, hope and warmth”, in a story that assures its readers “that good cheer, food and drink shared, gifts and even dancing” are “basic expressions of love and mutual support”. Dickens the quicksilver, the mercurial, can barely be captured on the page, but his messages of warmth and love have been understood by generations of readers. Now, in Charles Dickens, Claire Tomalin shows the tormented, tragic man behind the jollity and hope, quietly polkaing alone in the dark. This entry was posted in Journalism and tagged Books, Charles Dickens, Journalism, Review, Telegraph by inspectorbucket. Bookmark the permalink.